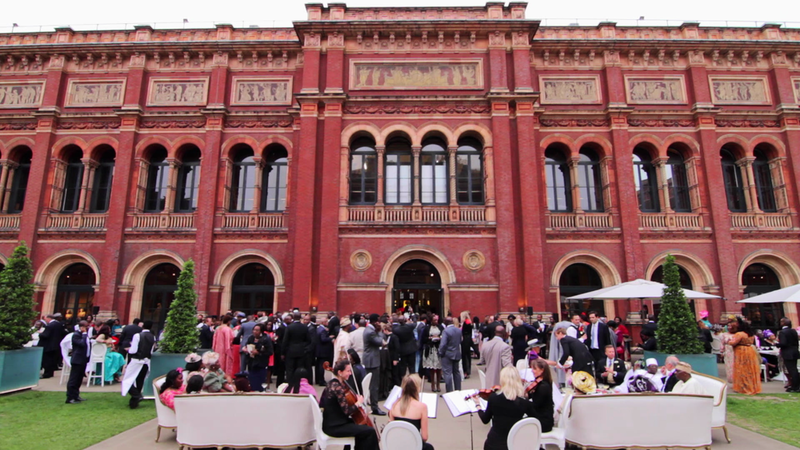 We were thrilled to be the wedding videographers for Simi & Iyabo at the amazing Victoria & Albert Museum in London. As wedding videographers our challenge was to capture it all! The Victoria and Albert Museum (often abbreviated as the V&A), London, is the world's largest museum of decorative arts and design, housing a permanent collection of over 4.5 million objects. It was founded in 1852 and named after Queen Victoria and Prince Albert. The Royal couple were inseparable and a true Love Story of their time ,which is still being told today, so it seems fitting that another young couple in Love should choose to hold their wedding at this amazing iconic venue. Iyabo & Simi held their wedding ceremony at the Wesley Chapel, this chapel was the Headquarters of the First Methodist Church established by John Wesley. Iyabo & Simi planned their wedding while they were overseas with the help of the detail orientated Redburn Events. We were contacted directly by Iyabo. We had been recommended to her by a close friend who's Nigerian wedding we filmed the previous year. Iyabo was a dream to work with as she was very clear and precise about what she had in mind, which Urban Cinematography loves. It makes for a wonderful Wedding Videography if you have a bride who is relaxed and definite about her vision. Simi had a lovely day with all his Groomsmen prior to the wedding, they went for a hearty lunch just before the ceremony, so all the men were in an extremely good mood. After the Meal they took a leisurely stroll to the Wesley's Chapel where Simi met his Bride! Its difficult to put into words the splendour of Simis & Iyabos Reception and Party which lasted until the early hours! We do shoot a lot of events but this venue is truly unique! Watch the Behind The Scene Film we have created below. The first Film is a Wedding Trailer from Day and the second a BTS of the venue. Enjoy!